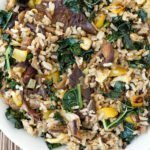 This hearty Kale And Mushroom Fried Rice is ready in under 15 minutes with the help of one tasty shortcut. 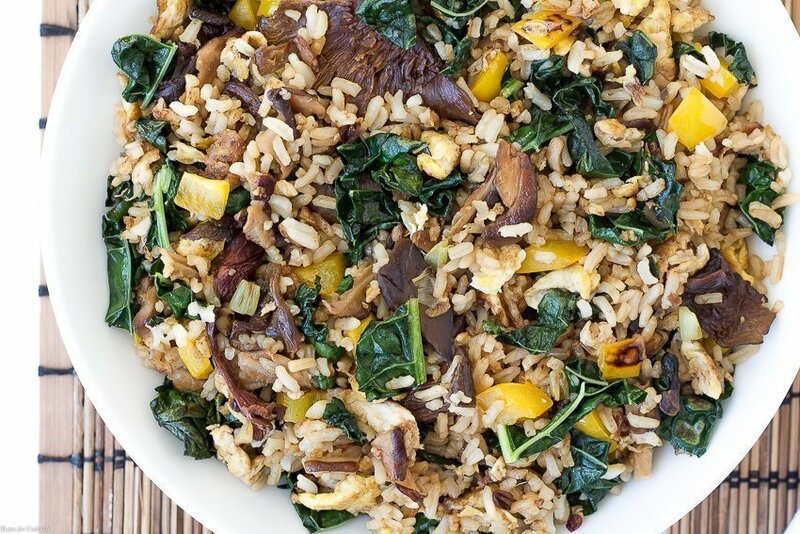 Seasonal Tuscan kale and a variety of mushrooms stir fried with yellow bell peppers, green onions, garlic and ginger. This week I tried two foods that don’t typically get my palate poppin’, fish tacos and a mushroom pasta. 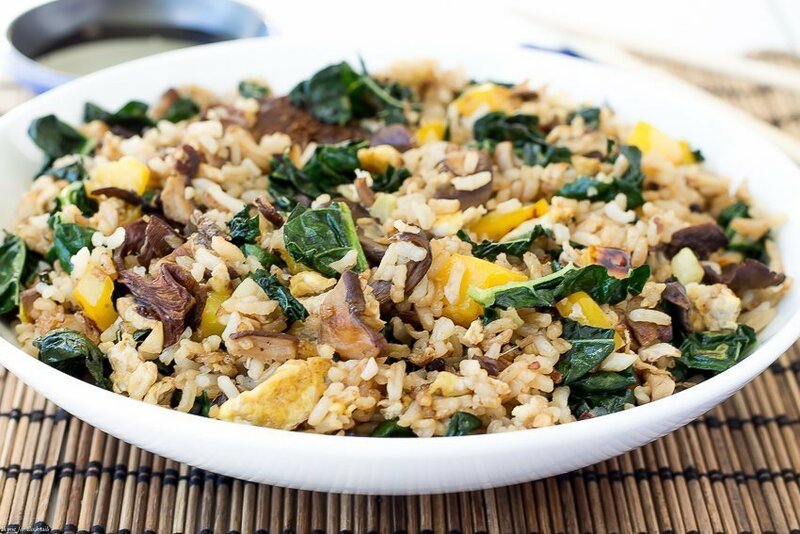 Both times I was pleasantly surprised with the results and it occurred to me there are plenty of food I haven’t tried in years because I don’t THINK I like them [bctt tweet=”Kale And Mushroom Fried Rice #seasonal #healthy #local” username=”thyme4cocktails”] My goal is to try new things in the casa kitchen. 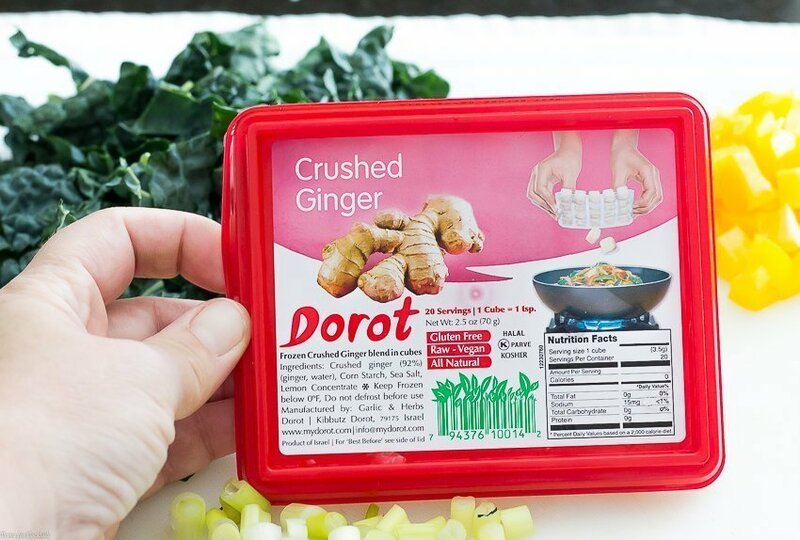 New recipes, new kitchen hacks and new shortcuts like Dorot products. These fresh frozen herbs are a game-changer folks. Imagine not having to throw out wilted herbs again, or having to chop and dice and mince ingredients for a recipe! I also grabbed Dorot Chopped Basil while we were in the frozen veggie section because I am always killing our plants, I’ve never gotten the hang of gardening in Arizona. 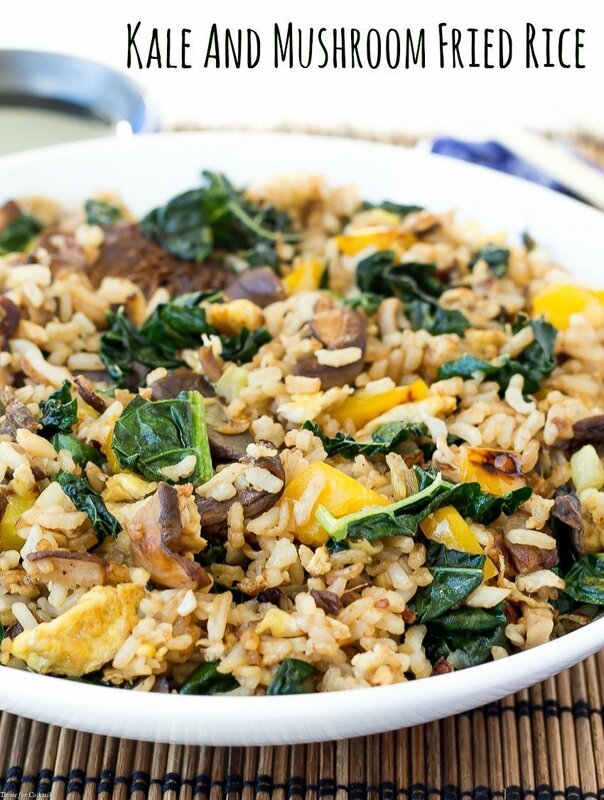 This hearty Kale And Mushroom Fried Rice is delicious and easy to make. Tuscan kale and a variety of mushrooms with yellow bell peppers, green onions, garlic and ginger. Keep a large wok or cast iron skillet over medium high heat. Add 2 tablespoons oil, eggs and green onions. Cook 1 minute, stirring frequently. Mix in bell pepper and mushrooms. Cook 1-2 minutes, stirring frequently. Stir in garlic and ginger, cook 1 minute. Add kale and soy sauce, tossing until slightly wilted. Mix in rice, fry 2-3 minutes until crispy. Add more oil to skillet if needed. Thanks for a great recipe and the coupon, a nice bonus! !